We are no stranger to Symons cone crusher. 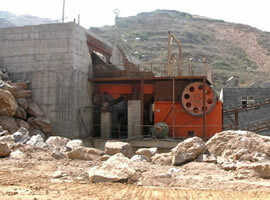 Symons cone crusher is often used to crush all kinds of rocks and materials with medium hardness or above. And it also has a broad application in metallurgy and construction industries. Symons cone crusher is applicable to breaking various rocks and ores such as granite, limestone and so on, and is suitable for various situations of rock breaking. Because the processed materials are of a hard nature, so Symons cone crusher has to be checked and maintained at regular intervals. Then how to make a proper maintenance? First, we must clear the related factors influencing cone crusher's production and the correct maintenance time. 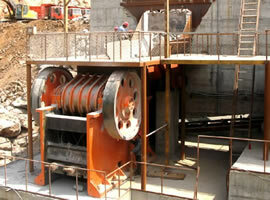 These factors include usage rate, the rigidity of the rocks, crushing result and etc. In addition, its maintenance can be divided into several categories, minor repair, medium maintenance and big repair. In different periods, it requires different maintenance manners. Because there are so many different maintenance ways in different maintenance period, so we should pay attention to daily check and inspection. For example, check and replace the worn or damaged spare parts, find out the hidden dangers and timely maintain and repair to eliminate the faults, in case of bigger losses happening. There is one thing we should keep in mind that no matter which measures we take, we should consider the actual situation. The maintenance of Symons cone crusher is very complex. So the operating staff is required to learn hard and attach high importance to it. As the users of Symons cone crusher, you should learn and try to be familiar with Symons cone crusher's working principles and the key points of maintenance, Or you may pay a high maintenance costs.